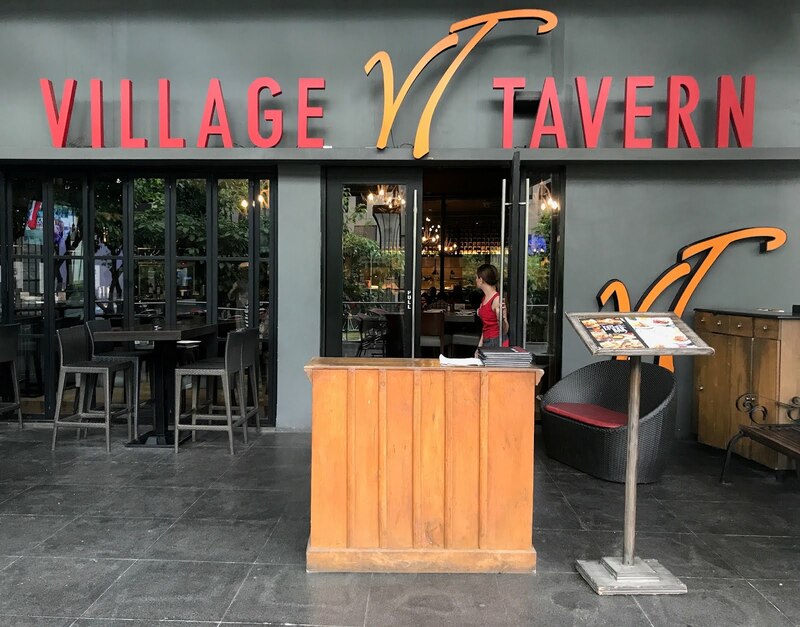 Village Tavern is a franchise restaurant from The Bistro Group family. Its concept was designed to bring customers to a modern tavern setting for a gathering for great American food, crafted drinks, and entertainment. Since I frequent High Street, this restaurant is no stranger to me. I've been meaning to try it ever since I first saw it because of its intriguingly appealing exteriors that's persistently trying to draw me in. Now, I finally let myself succumb to the temptation and end it once and for all. When I first stepped into Village Tavern's doors, the curiosity inside of me yielded more questions than answers. Why was I so intrigued about this place? Its interiors had nothing worth intriguing. In fact it looked similar to some of The Bistro Group's other restaurants' setup, although it emanated the same, pricey menu vibe. I've been contemplating on what to order around 2-3 days prior to our visit, and I narrowed them down to just the salmon and the wagyu burger. 100g of Norwegian salmon served with rice pilaf, topped with sauteed red peppers, and broccoli. 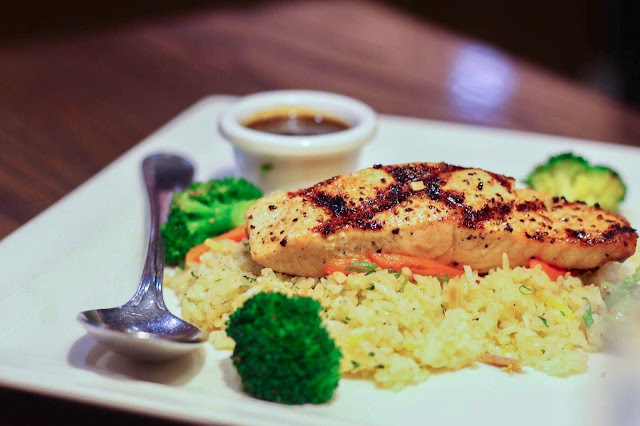 This salmon dish tricked me in some way. I expected it taste more complex because of the "ten spice" description in the name, but I'm not complaining. I liked how the salmon was seasoned and grilled to perfection. The rice pilaf also tasted great. Everything went well together, with the sweet and tangy sauce glueing all the pieces together like a puzzle. Wagyu beef patty with cheddar cheese, caramelized onions, bacon strips, tomatoes, pickles, and barbeque sauce, and served with crispy golden fries. The beef patty was on point. 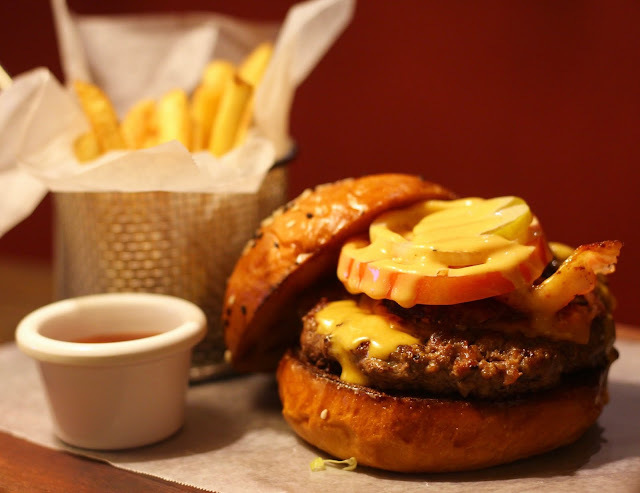 It was juicy, and scrumptious, although it definitely isn't the best burger in town. Both the dishes we've had were delicious, but it still boils down to one concern: pricing. I enjoyed both of them, but I also think that these are a bit overpriced. There's nothing really exceptional about any of it to justify the steep pricing, and it wasn't the ambiance, the service, or the serving size either.